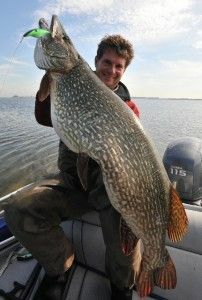 Northern Pike – When and Where? Picking out the right spinning should not be hard or time consuming, should it? We have, after all, access to forums and fishing articles. But why is that if you are looking for resources about spinning reels, the first websites that pop up are internet tackle stores. Every single one of them tend to be filled with hyped up reel descriptions. If you finally manage to stumble upon one informative guide about buying the right spinning reel, they tend to be short, superficial and on top of that represent only one author's opinion. Power Pole Micro Battery Pack set to Hit the Water! The Best Bass Trick No One’s Talking About? Hi all! This tip may be for the not so seasoned angler but I’m sure we are all guilty of it! The late fall and winter months are pretty laid back and “boring” here in some cases especially if your not into travelling out and drilling a hole in the ice to fish.Here is what I like to do when I have this free time on my hands and boat and all is packed away for the season. 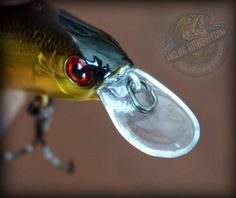 Some of us just don’t pay enough attention to the bait we are using most times and have tunnel vision when it comes to tying on whatever is in the tackle box and the way it was originally purchased or made. I for one, like to experiment with my baits a bit and sometimes this makes a difference between having a great day or leaving the lake feeling frustrated wondering what else you could have done to get a fish to bite.It’s not always about being in that certain spot where the fish are. That is the easy part with today’s electronics and our understanding of spring, summer, and fall patterns. 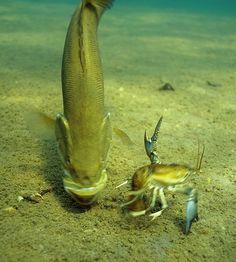 Sometimes you can see the fish and absolutely nothing you throw at them will trigger a bite! Nothing you just pull out of the tackle box and tie on anyhow…..So many baits we use for bass today come with instructions and recommendations on how they should be used and rigged but I personally like to experiment a little, especially when in that tough situation where a good bite is almost a lost cause. Personally, I love to fish a spinnerbait! Now as you all know, unless you build your own, there seems to be a limited amount of color combinations available today in stores. Some may have exactly what you want for size and type of blades, but not quite the color skirt or body you would like, and or the other way around. I have hundreds of spinnerbaits, and what I do at home here and on the water is experiment with different color/blade combinations. Its very easy to do as most skirts come off really easy with little to no effort with your fingers and blades and beads are easy to change with a pair of needle nose pliers that you have with you on the boat.I attached some pics of some disassembled and encourage you to try this next time your on the water or just have a bunch of old spinnerbaits lying around that you plan to toss out. 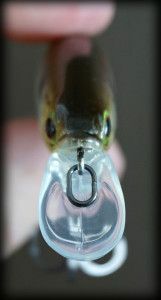 This is the same for some of your topwater baits, crankbaits, jerkbaits, etc. That old jerkbait that you love to use has rusted hooks or broken ones? Don’t throw it away, just get some new trebles and replace the old ones.Slitting the Tails on some swimbaits has worked well for me in the past as well to give it just a little more action in the water.I guess the short of it is, dont be scared to experiment with any of your baits while out there fishing, sometimes it only takes that minor color change or small bit of added action to trigger a strike and turn a bad day into an unbelievable one!So just dont just toss away those old spinner baits and crankbaits, etc that you are through with. I give a lot of those baits to local kids at the lake and they absolutely love them and appreciate ite it! Especially when they catch that large smallmouth and its the biggest fish they ever caught! LOL The look on their face is priceless! 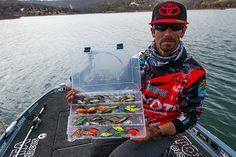 And remember, keeping your tackle organized on and off the boat is key to your success on any given day! 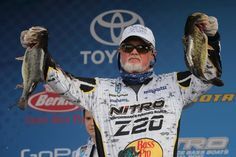 We are your online resource for all things related to fishing - Product Reviews, How-To Articles, Fishing Reports, Interviews, Contests & More. Our Contributor Team is a mix of multi-species pro anglers, industry and fishery experts and weekend warriors. Managed by Jaunt Marketing & Consulting Inc.
© 2016 Copyright AnglingAuthority.com. All Rights reserved.